A geothermal team consists of all the parts to make a geothermal heating and cooling project come to fruition; and they’re likely right in your local area. 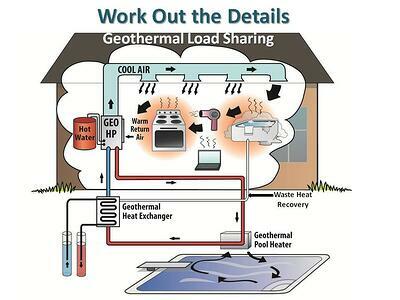 You may want to install a geothermal-solar system in your home, or have it deigned for a whole community, and the parts will be much the same. Like a library full of books, the knowledge is there. What makes knowledge powerful is when it is assimilated for a great purpose like earth coupled HVAC. With these four components assembled, the project will be successful. Let’s expand on these four steps. Once you’ve identified a structure/home/pool/process that you’d like to heat and cool, you’ll need to find a design professional. This may be the same entity that can perform the installation, but not necessarily. 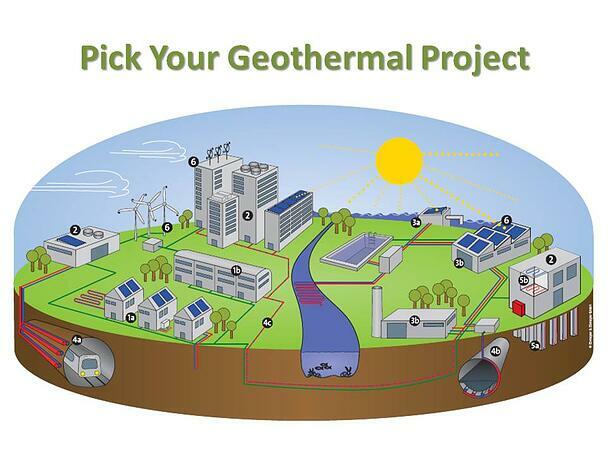 The best resources for geothermal HVAC professionals can be found at the Geothermal Exchange Organization (GEO), and the International Ground Source Heat Pump Association (IGSHPA). Always consult a few professionals so that you may consider the best fit for your needs. The geological component is important, because you’ll be working with the earth through ground coupling, and there are many good design options available, but one of them will favor your conditions more than others. It may be that the designer you’ve identified has competent data, which can be a bonus. 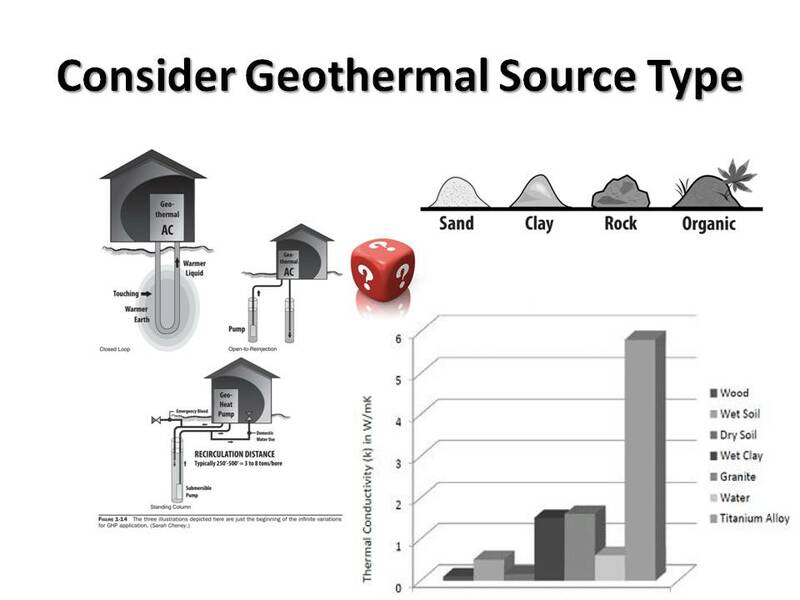 Construction knowledge for geothermal heating and cooling is important. We want someone who has experience and good credentials. Even if they have not put it a geothermal heating and cooling system before, a good reference list of completed construction projects similar to yours along with an open mind may be enough qualify them. Execution of the project will be easiest when you have ready reference guide or a consultant to which you may refer for guidance. 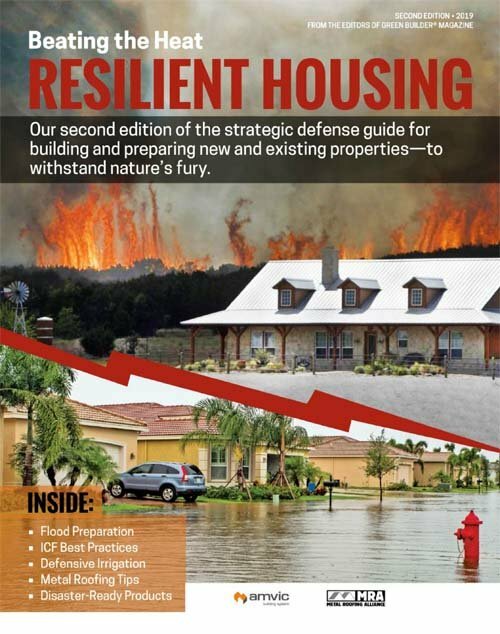 Just as important as a map, a comprehensive text book with a good index such as Modern Geothermal HVAC Engineering and Controls Applications McGraw-Hill Education 2013 will prove essential. With this pattern in place, you will have assembled your own personal “Geothermal Dream Team”, even if it’s just you and one competent contractor that has comprehensive experience in geothermal HVAC design, geological conditions, construction, and follow through. Illustrations do a great job of guiding us through a set of instructions so I’ve placed a series of slides here to share the process in pictures! – Jay Egg is a geothermal consultant, writer, and the owner of EggGeothermal. 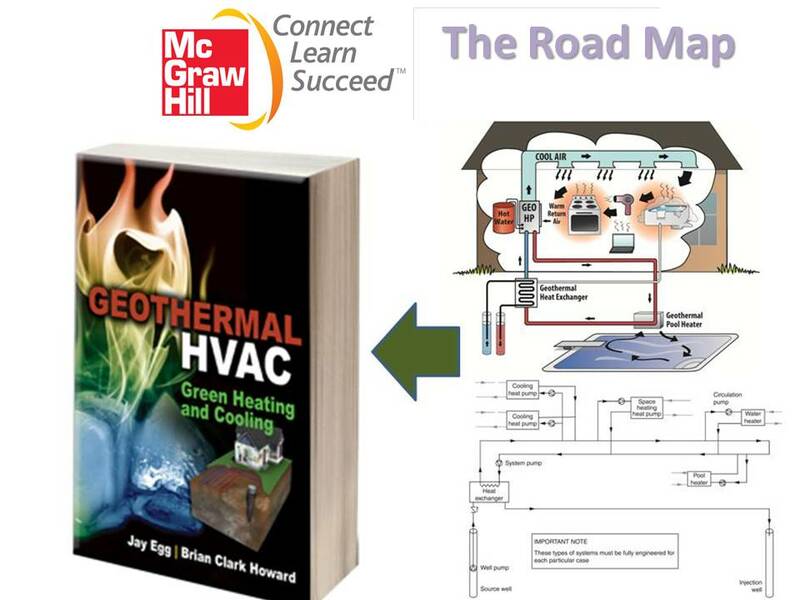 He has co-authored two textbooks on geothermal HVAC systems published by McGraw-Hill Professional. He can be reached at jayegg.geo@gmail.com . 1a Heat pumps in single-family houses. 1b Heat pumps in multi-family houses. 2 Heat pumps in office and commercial buildings. 3 Industrial use of heat pumps. 3a Source for district heating. 4 Heat pump use in and for infrastructure. 4a Subways/Tunnels. 4b Sewage systems. 4c Energy grid (district heating or “cold source”). 5 The building structure as heat exchanger. 5a Heat piles. 5b Activated concrete.